Professor Pocock's subject is how the seventeenth century looked at its own past. In the sixteenth and seventeenth centuries, one of the most important modes of studying the past was the study of the law - the historical outlook which arose in each nation was in part the product of its law, and therefore, in turn of its history. 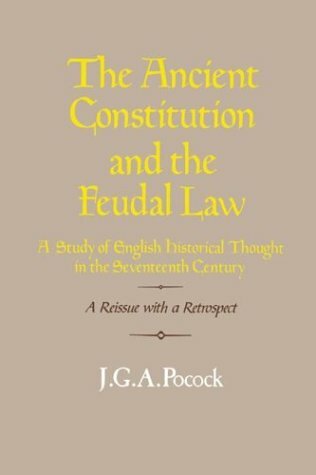 In clarifying the relation of the historical outlook of seventeenth-century Englishmen to the study of law, and pointing out its political implication, Pocock shows how history's ground was laid for a more philosophical approach in the eighteenth century.